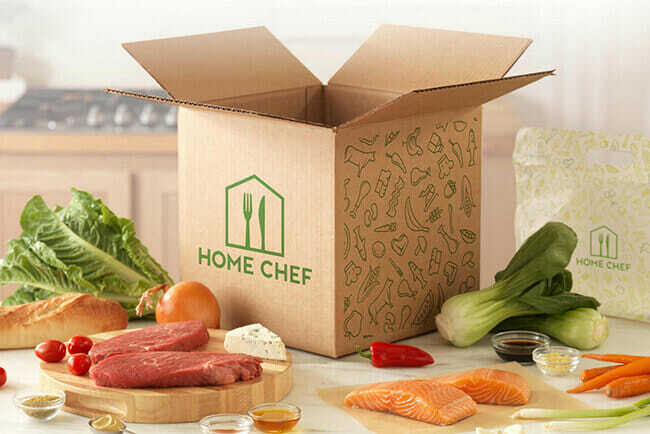 Home Chef meal kit service is growing faster than anyone anticipated. Three years ago, it was delivering 75,000 meal kits per month, which was impressive enough, considering that it was established in 2013. However, in the past three years, the number of Home Chef fans has increased dramatically and the service now delivers 3,000,000+ kits every month to homes around America. It has become the largest privately-owned meal kit company in the US and the third largest company in the meal kit industry. Its market share grew by 55% in 2016 alone and just last year, its revenue grew by more than 150 percent. With big plans for the year of 2018, Home Chef has opened a new state-of-the-art facility in the Chicago area, or more specifically, Bedford Park, Illinois. The new production center comes as an addition to the 2 other facilities in Atlanta and Los Angeles and a replacement to the now-too-small original facility in the Chicago area. It is twice as large as the former Chicago facility, with 103,000 sq. ft. of production space, and has triple the capacity of its predecessor. According to the words of Home Chef’s founder and CEO Pat Vihtelic, this new facility is custom-built for the company’s operations and designed to optimize efficiency, as well as food safety and quality. It was chosen with configurability and flexibility in mind and automation is kept to a minimum. This does not only mean that you get real food that is handled by real people, but that the facility can accommodate future changes in the company’s menu, potential expansion of customization options, and the changing desires and preferences of its customers. Instead of investing in automation, Home Chef has decided to opt for a facility and mode of operation that allow the company to keep up with its patrons’ needs without frequent replacements of expensive machinery. This seems like a rather smart move and one that will keep the business afloat and the patrons happy, with plenty of potential novelties to look forward to.